*Please note that some of the Department's Undergraduate Advanced Diplomas are worth 60 CATS point at FHEQ Level 6. Therefore an Undergraduate Degree usually = Undergraduate Certificate + Undergraduate Diploma + Undergraduate Advanced Diploma (although it is a little more complicated in practice). 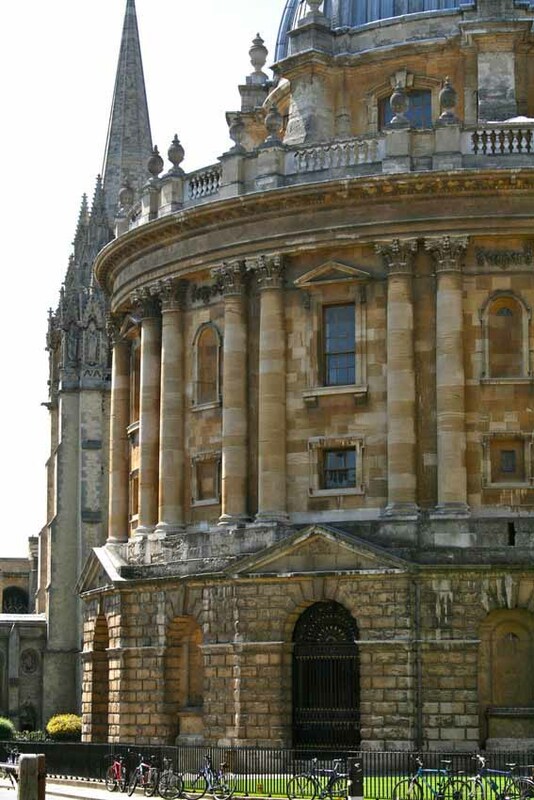 The University of Oxford does not award part-time Undergraduate Degrees but individually the Department for Continuing Education's Undergraduate Certificates, Diplomas and Advanced Diplomas mirror the level and experience of full time degree courses but cannot be combined into a degree at Oxford (with the exception of the Department's Foundation Certificates). Nevertheless, many students may be able to transfer their OUDCE credit to other university degree courses. In general terms most of the Department's weekly classes have 10 or 20 CATS points assigned to them. 10 CATS points at FHEQ Level 4, usually, but not always, consist of ten 2-hour sessions. 20 CATS points at FHEQ Level 4 usually, but not always, consist of twenty 2-hour sessions at the same level. The basic CATS calculation is that for every 2 hours of tuition you are given you will engage in eight hours of private study. All OUDCE accredited weekly classes are at FHEQ Level 4, which is the level equivalent to that of the first year of an undergraduate degree. External examiners moderate all OUDCE weekly classes. The Department's Undergraduate Foundation Certificate in English Language and Literature and Undergraduate Foundation Certificate in History provide a structured learning path and may enable you to join the second year of an undergraduate degree. They are accredited with 120 CATS at FHEQ Level 4. Some of the Department's certificate and diploma courses are accredited with 120 CATS points at FHEQ Level 4 & 5. These give a more structured learning path and may enable you to join the 2nd year of an undergraduate degree. For information about how CATS Points convert to US academic credits, please visit this page. CATS points convert to European academic credits (ECTS) as follows: 120 CATS = 60 ECTS. For details visit this page. All postgraduate teaching, Postgraduate Certificate (60 CATS points), Diploma (120 CATS points) and Masters (180 CATS points) is at FHEQ Level 7. Where modules are available on a 'stand alone' basis for credits CATS points will be awarded proportionally. For detailed information on FHEQ levels, please visit this page. Coursework is an integral part of all online courses and everyone enrolled will be expected to do coursework, but only those who have registered for credit will be awarded CATS points for completing work at the required standard. To earn credit (CATS points) for your course you will need to register and pay an additional £10 fee for each course you enrol on. You can do this by ticking the relevant box at the bottom of the enrolment form or when enrolling online. If you do not register when you enrol, you have up until the course start date to do so. All students who successfully complete this course, whether registered for credit or not, are eligible for a Certificate of Completion. Completion consists of submitting both course assignments. Certificates will be available, online, for those who qualify after the course finishes. If you are considering using the CATS points for the award of the Certificate of Higher Education, we strongly advise you to register for credit at the point of enrolment on the courses that will count towards it.